In late March, the American Society on Aging held its annual conference in San Francisco. I'm delighted to report the panel discussion was a success. We had a full house and the room monitor turned attendees away. Explore long-term care options, visit potential communities, talk to people with experience. Determine If Guardianship Is needed. Wendi identified the burdens that solo agers face: Big expenses, Little savings and Isolation.Solution? Shared economy services like Silvernest, a roommate matching service for baby boomers and empty-nesters. Scott talked about technology and how it connects, serves and empowers older adults and people living with disabilities. Things we need: Make smart and responsive homes to create independent lives, Connect wellness devices to enable healthier and active lives, and Create social connection to enable happier and connected lives. I discussed solo agers' deep concerns: Affordable housing, Finding rides especially to and from the medical treatments, Making tough medical and health decisions alone, Social isolation and little support. That's a quick re-cap of our presentation. The attendees walked away with a fresh awareness of the older segment living alone and hidden in plain sight. Sign up for my Age with Purpose newsletter. Send an email to Carol@seniorcare.com and in the subject line put Newsletter. 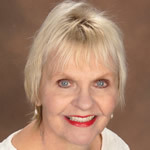 Carol Marak, aging advocate and editor at Seniorcare.com. She's earned a Certificate in the Fundamentals of Gerontology from UC Davis, School of Gerontology.